Our Southside Reception Hall and Conference Center can accommodate nearly any event. It has a 400–person capacity, and can be divided into separate meeting areas to accommodate large banquets or small meetings. There is no charge for use of our banquet and meeting rooms; however, they must be reserved in advance. We also provide FREE WiFi throughout our facility. We have limited decorations available for events, but you are welcome to bring in your own. 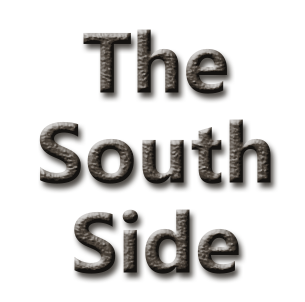 You will be able to access the Southside the day before your event to decorate and set up. For the convenience and safety of our patrons, the Old No. 1 Bus Service is available for transportation to local destinations when you book an event at the Southside Reception Hall and Conference Center. To ensure availability, please request the bus service at the time you book your event. The Old No. 1 handles all catering for the Southside and offers a variety of items. Can't decide? We also offer food tasting on request! We can help you decide what to serve by preparing and allowing you to taste several meals of your choice. Our Southside area is an ideal location for business meetings or conferences. We have three large wall-mounted screens and an overhead projector, perfect for PowerPoint and other media/video presentations using your laptop or for playing DVDs. Our recently remodeled basement area is ideal for smaller gatherings. Planning an event? Call Donny or Matt today at 320-589-2270 for booking and rate information.